We picked up all the whites of the Holiday and summed them up with this delight. 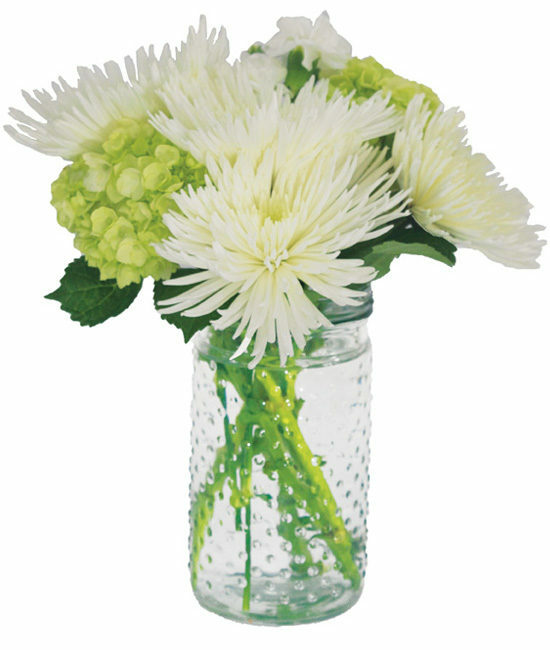 Full of beauty, it includes white spider mums, mini green hydrangea, and mini white carnations. 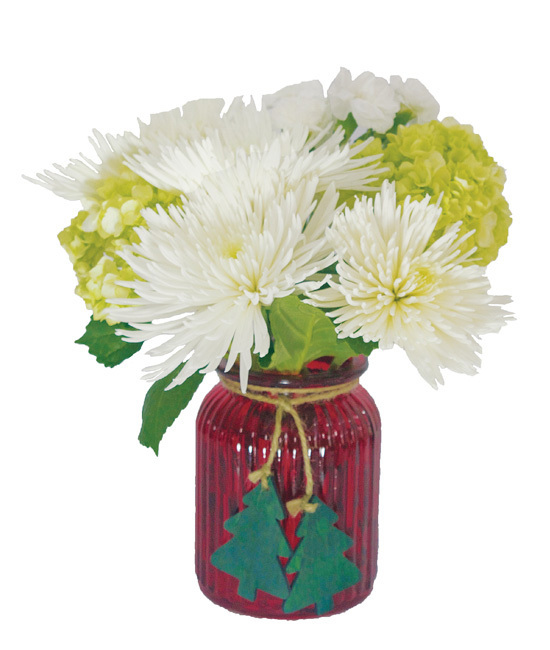 Everything is wistfully arranged in our red glass vase, its horizontal ridges, and green Christmas tree accents adding, even more, Holiday charm. Remove all foliage that will fall below the water line. Cut stems to the appropriate length of your container or vase. Do not be afraid to cut! Hydrangeas may look a bit tired upon arrival. Some varieties of flowers like hydrangea may look a bit tired upon arrival. Don’t despair! They’re healthy – just thirsty… submerge the blooms completely in cool water for approximately an hour, they will rehydrate and perk up within 24 hours. IMPORTANT! Always add fresh water daily. Change water and recut stems every other day.